On arrival Cochin, meet the ATI agent who’ll take you to the hotel pre-booked for your overnight stay. In the afternoon is free full day for leisure. In evening, take pleasure in Kathakali dance performance at an special place. Overnight stay at hotel. After breakfast in morning, enjoy a guided tour around Cochin. Then proceed to tourist attractions that you will visit St. Francis Church, Dutch Palace, Jewish Synagogue, Chinese Fishing Nets and the spice market. Stay overnight at hotel. After breakfast in the morning; take a road journey to the beautiful hill station of Munnar. Upon arrival in Munnar, check in at the hotel for overnight stay in Munnar. After breakfast morning, proceed for a sightseeing tour in Munnar. Also exploring tea plantation, you will be visiting the Eravikulam National Park. Later, return back to the hotel for overnight stay at Munnar. After Breakfast In the morning, drive to Periyar. On arrival in Periyar, check in at the hotel to relax. Spend the rest of the day at leisure. Stay overnight at hotel. After Breakfast In the morning, enjoy wildlife tour via boat trip. Also you have an option for a guided trek through the Periyar National Park. The afternoon is free to relax. Stay overnight at hotel. After breakfast in the morning, proceed straight to Kumarakom. On arrival in Kumarakom, check in at the hotel. In afternoon, enjoy boating on the Kumarakom Lake. Overnight stay at hotel. After Breakfast On the 08th day, start with a visit to the Kumarakom Bird Sanctuary. In afternoon, proceed straight to Kottayam to board the houseboat. 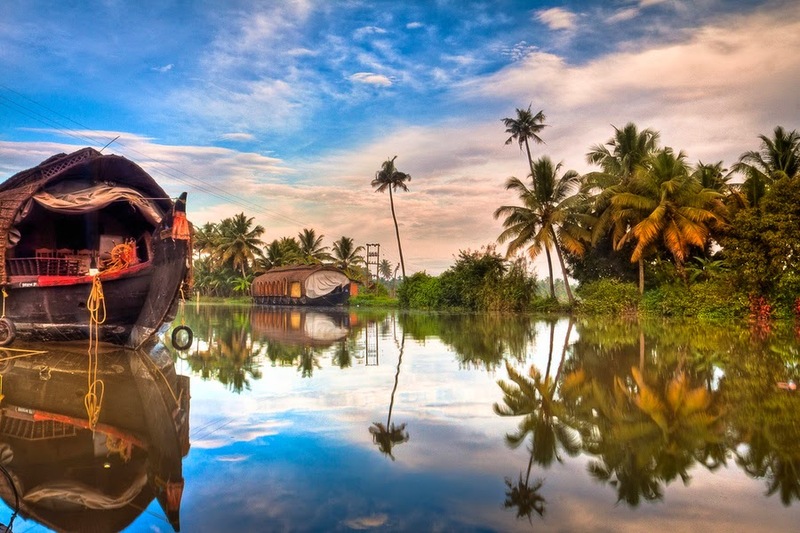 Enjoy a relaxing backwater cruise through the palm-fringed backwaters of Alleppey. Stay overnight at houseboat. After Breakfast Today, in afternoon, leave by road for Kovalam. On reaching Kovalam, check into the hotel for overnight stay.